Hi everyone! 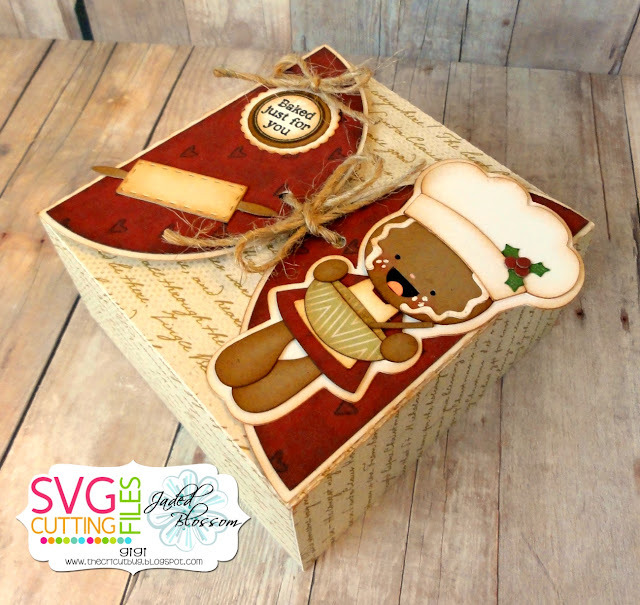 This is GiGi from The Cricut Bug and I am sharing this fun bakers box I made using the NEW Ginger Baker Girl. 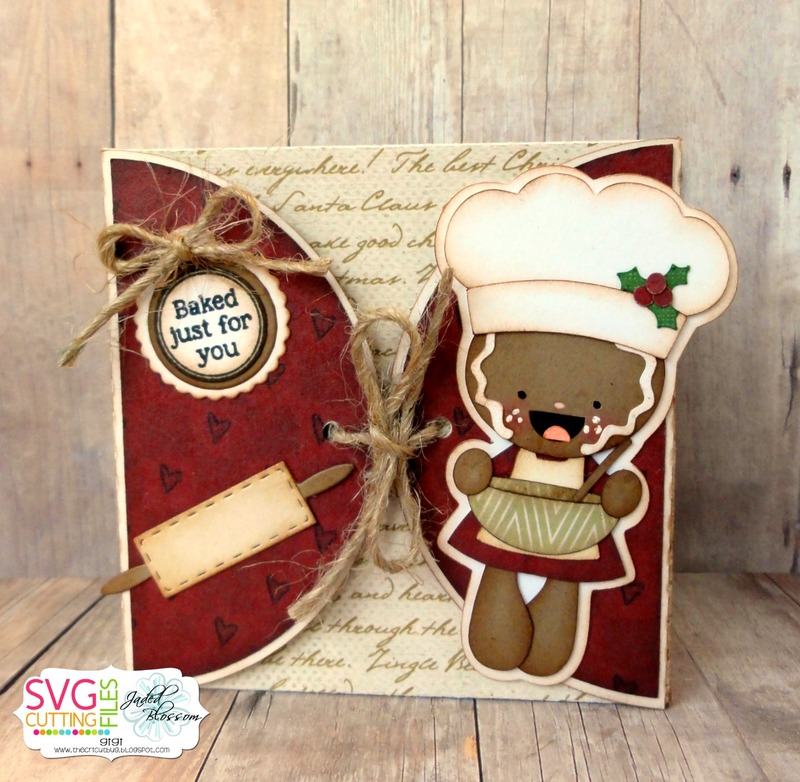 She's the perfect addition to the Bakers Box for those handmade Christmas goodies. 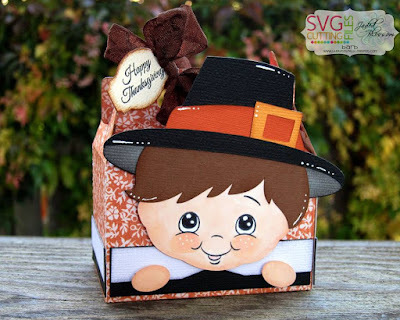 I stared this project with the SVG Cutting Files Bakers Box and cut it out with my Cameo. I added the decorative panels to the side and tied the flaps closed with some twine. I cut out the Ginger Baker Girl and matted her in white. I added her to the box along with the rolling pin I cut from the Jaded Blossom Baking Dies. The sentiment I stamped from the Bake Me Happy stamp set onto a tag cut from the Candy Charms and Banner Dies. all the money raised goes towards the students to go to science camp !! 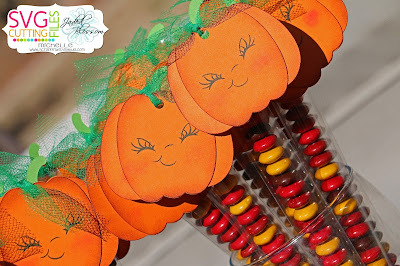 I used a face stamp from Peachy Keen as well ! Hello everyone! 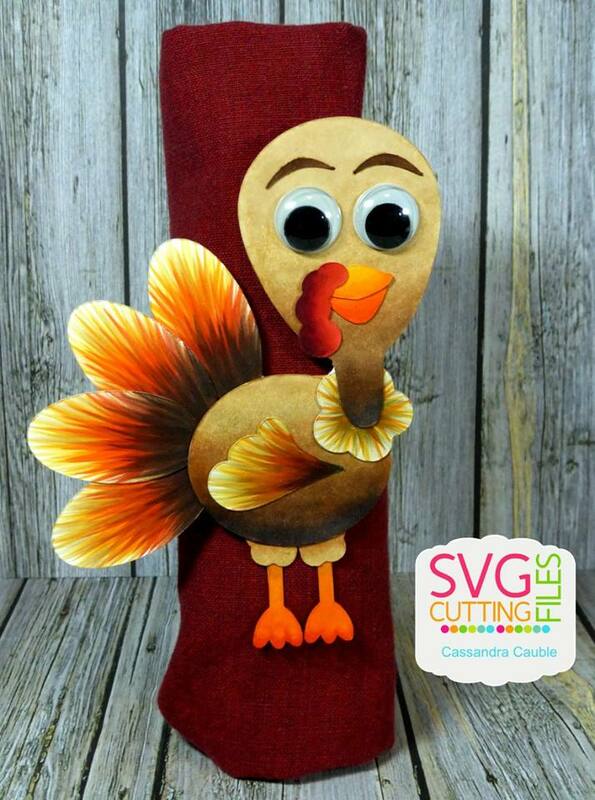 It is Crystal here and it is my Design Team Day for SVG Cutting Files. I love this new file called Chibi Yoga Girl! I have been practicing yoga for a few months now and I am going to give this card to my yoga instructor who is always very patient with a me..as a newbie! Thanks for checking out my post today. Jamie here to share the new Christmas Owl file! 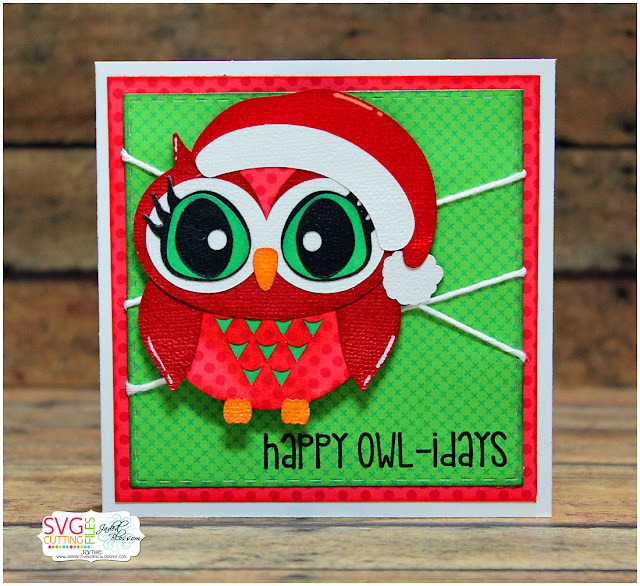 I pop dotted the cute new owl onto Jaded Blossom's Stitched Square Dies. Then I stamped a sentiment from Season's Tweetings. 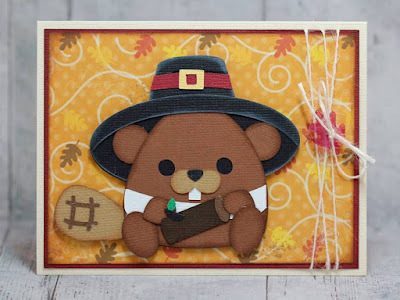 **Pan down to check out all the products that I used to make these cards-and the link to buy these cuts are there too!! Hi there!! This is Candace from Candi O. Designs and I'm here to showcase a new Page Layout by SVG Cutting Files that will be available in store Friday ~ "Fall Blessings". I just love these page layouts, they make scrapbooking super fun and fast!! 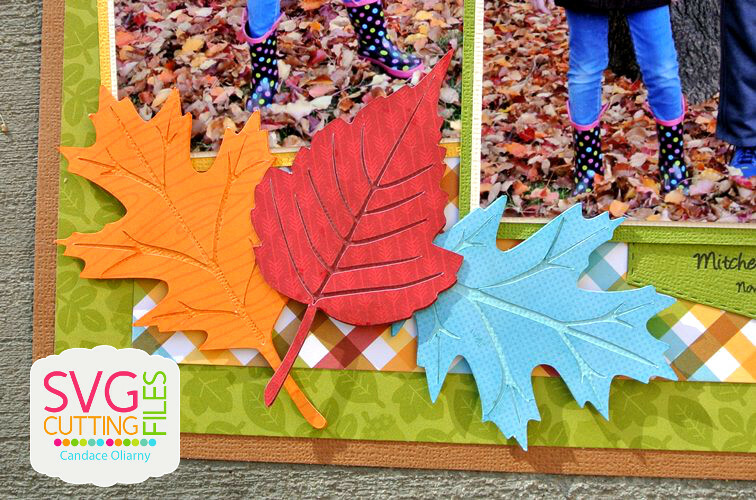 This layout is perfect for those fall photos ~ love the details on the leaves! Hello everyone! This is Cassandra from Creating with Color by Cassandra. Now even though Thanksgiving is not here yet, you know Christmas is right around the corner!!! 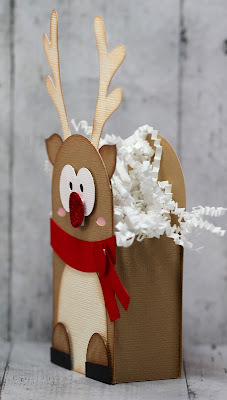 So I have a couple of fun Reindeer Treats to share with you today. These files will be available in the store this Friday. May I introduce Mr. & Mrs. Rudolph!!! Hee! Aren't they cute? 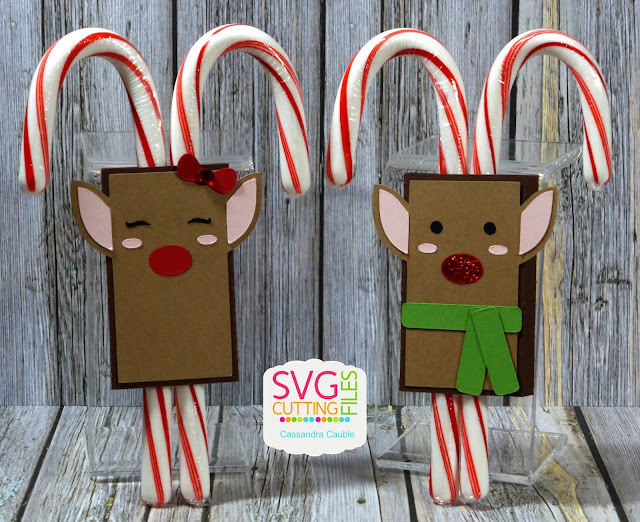 These are the brand new SVG Cutting Files ~ Reindeer Candy Cane Holder. 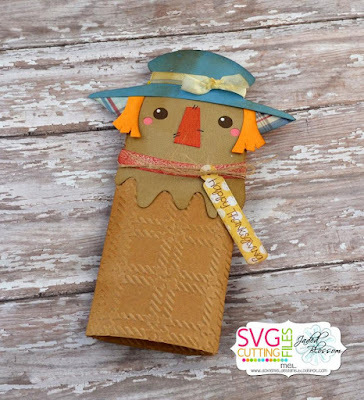 These are so easy to make and would be fun to mass produce for the kiddos at school or in the neighborhood. The different colors of cardstock are from Papertrey Ink, except for the light brown which was from my scraps. 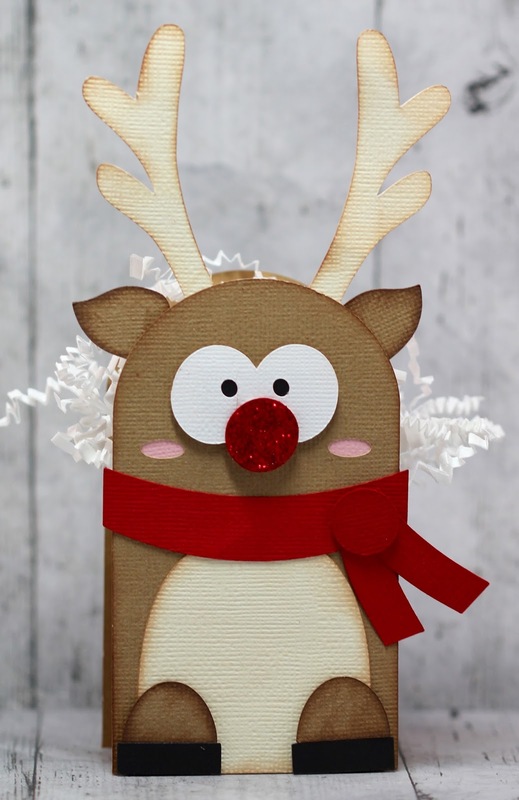 I also added a little XMas Red ~ Stickles to Rudolph's nose. What a cutie! 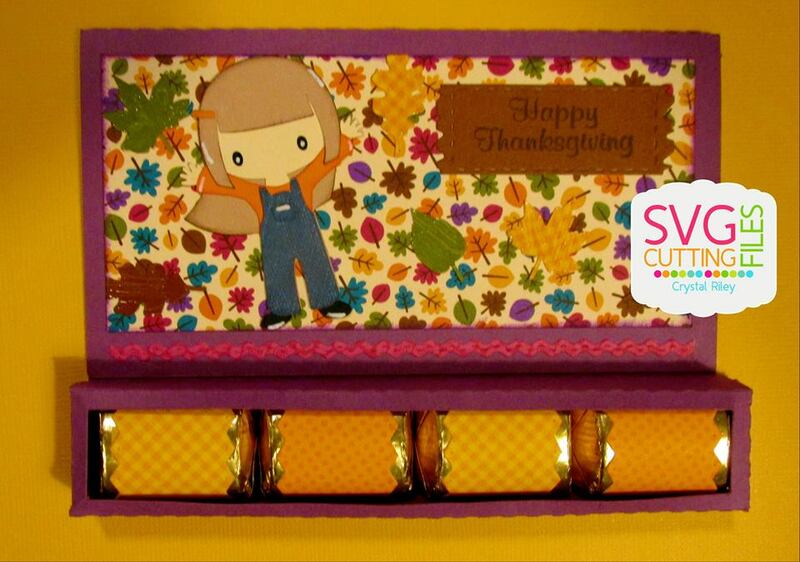 To begin, cut out your little treat holder. Then get your candy canes and some double stick tape. I took 3 pieces of the double stick tape and wrapped it around the 2 candy canes. Next, place your candy canes onto the treat holder and press firmly so they stick to the cardstock. Then I used the Glue Glider Pro to add some adhesive to the flap on the right side of the treat box. 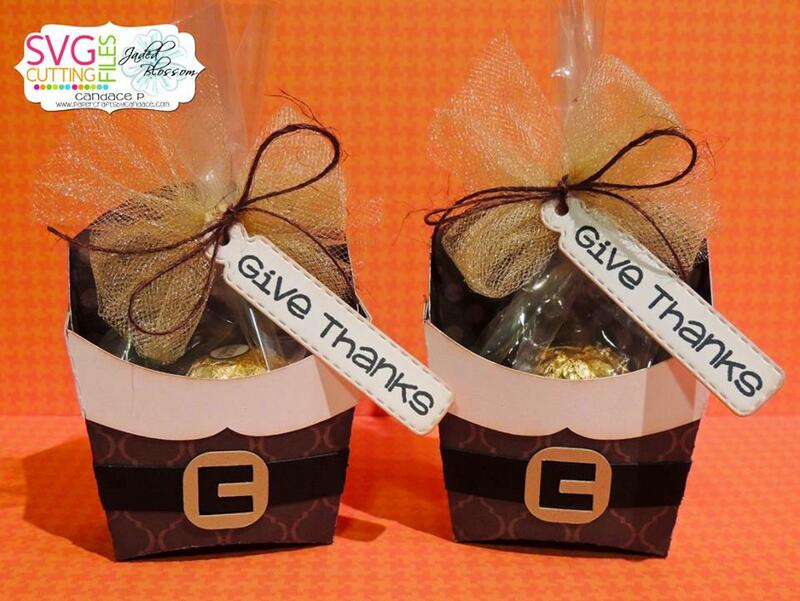 Then just fold up the treat box at the score lines with the candy canes taped nicely inside. And finally, add the top layers to decorate and voila...Mr. & Mrs. Rudolph! Hee! Too cute! Well my creative friends, that's it for me today. I hope you enjoyed this fun little treat! Have a great day everyone. I will see you all again soon. 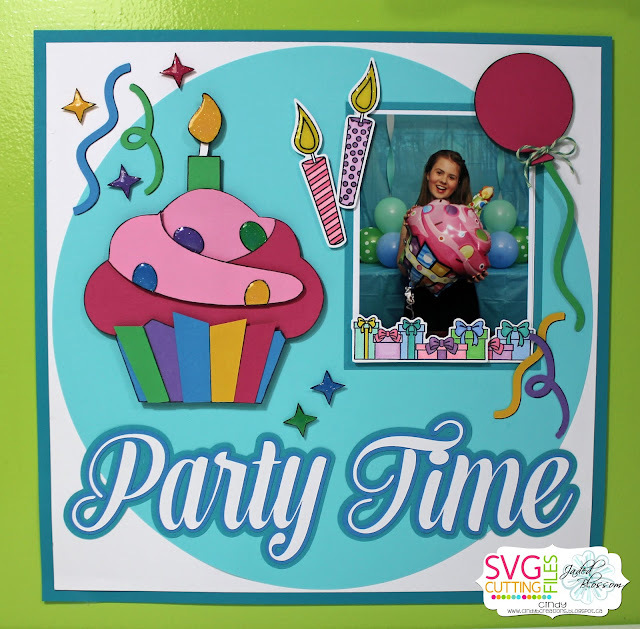 Party Time Layout for the two page layout. 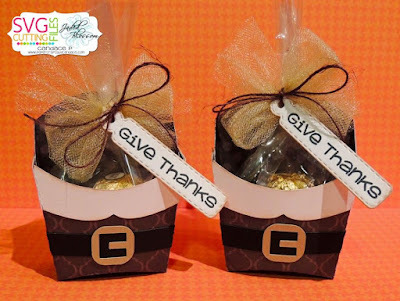 Create a project of your choice with a "Thanksgiving / Give Thanks" theme. 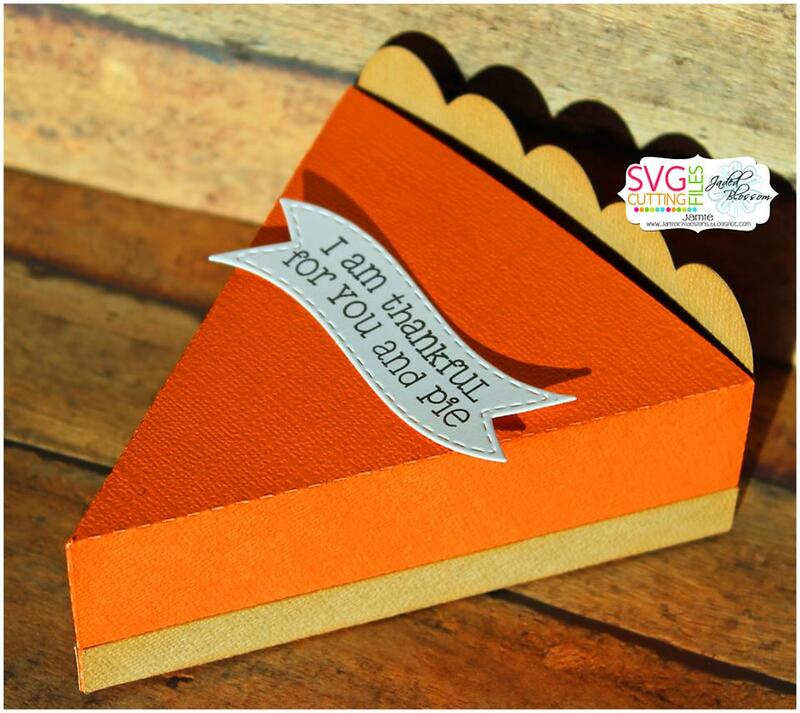 You must pick a file from SVG Cutting Files as your main focus. Here is the fun treat she made for the Halloween Challenge. 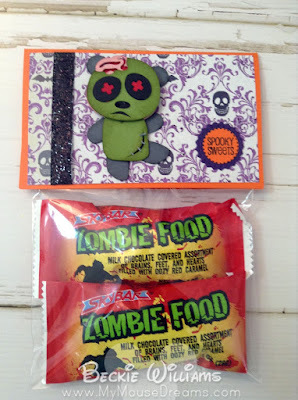 She used the Zombie Panda file on the treat topper. Read more about her project at Becky's Blog, HERE. 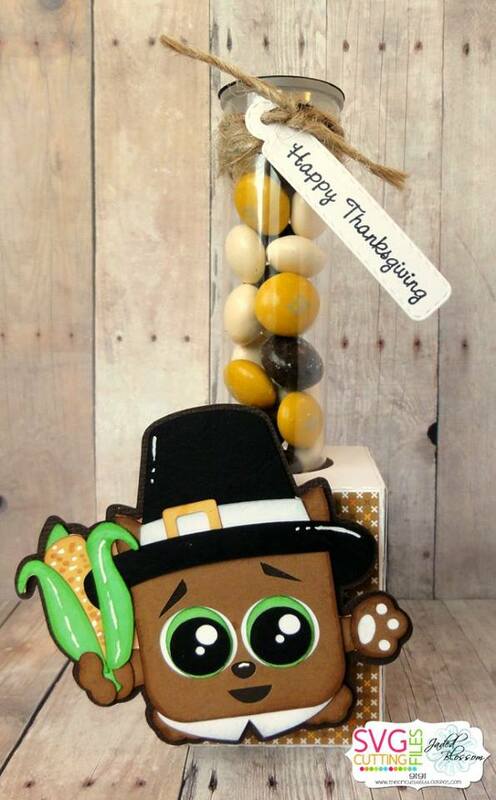 Barb from BugBites here today with a treat for your Thanksgiving table. These could be place cards or just treats for your guests. 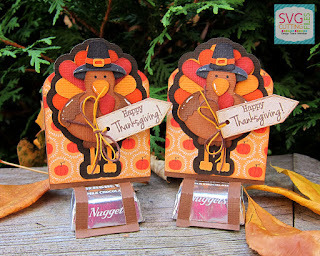 These little nugget holders feature a new turkey cut file released in the store today. 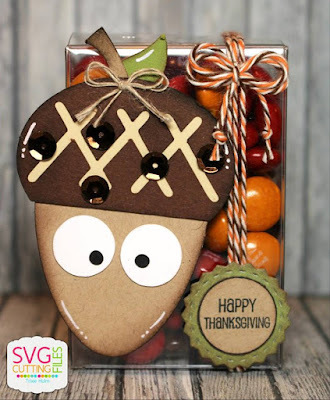 I have a cute card to share with you today using the new Tree and Squirrel file. I wanted to make a winter scene with it so I used gray tones for the tree. I really love this tree could look nice as a family tree in a frame, may have to do one. The squirrel is adorable, I cut it out on my Brother ScanNCut2 and added a peachy keen face. 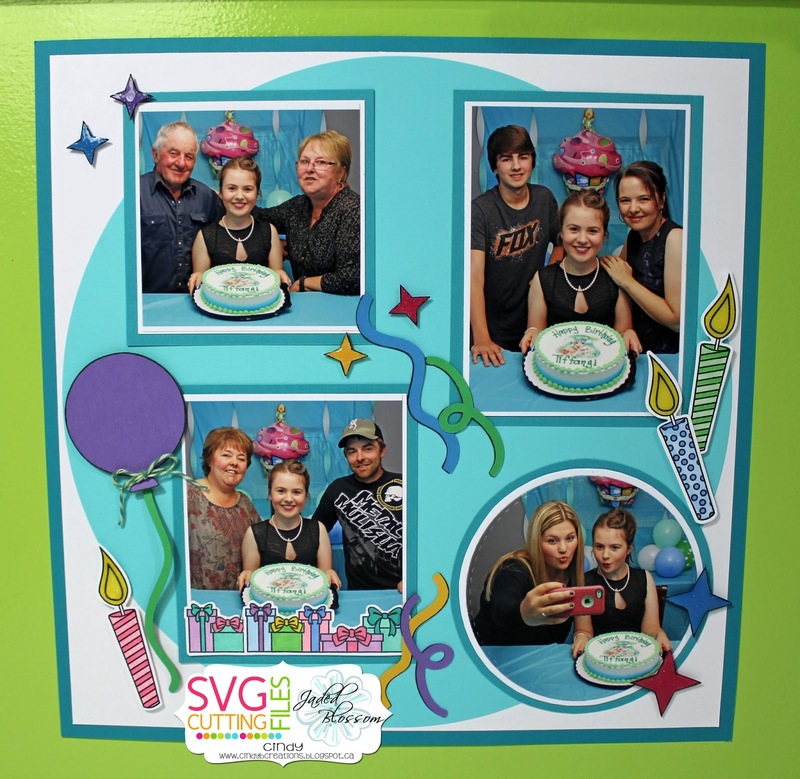 I used the Arched Top Card Base and made it a little bigger then the standard A2 card. The sentiment is from My Creative Time's Holiday Tags set. 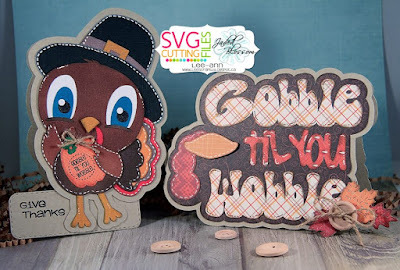 Hi everyone this is Gwen from This and That by Gwen with a new cut file that will be in the store on Friday and you are really going to want to get this one!! 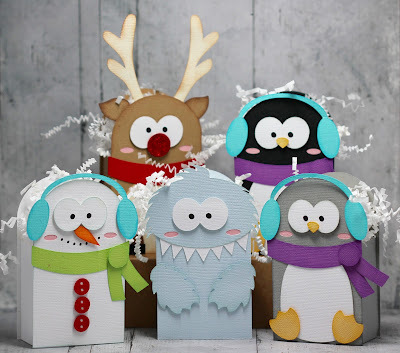 So I just have to say I LOVE these boxes!!! 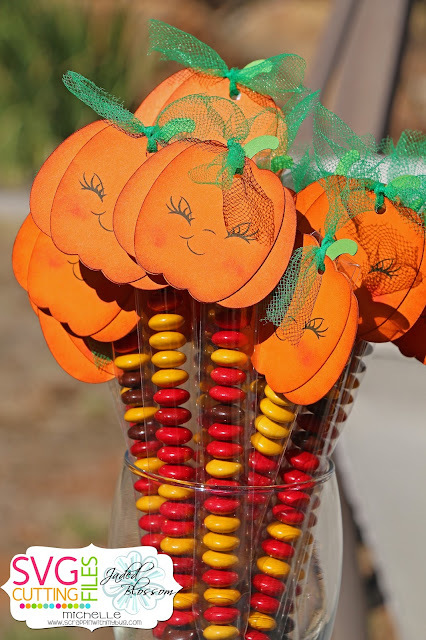 They are so cute and super easy to make! 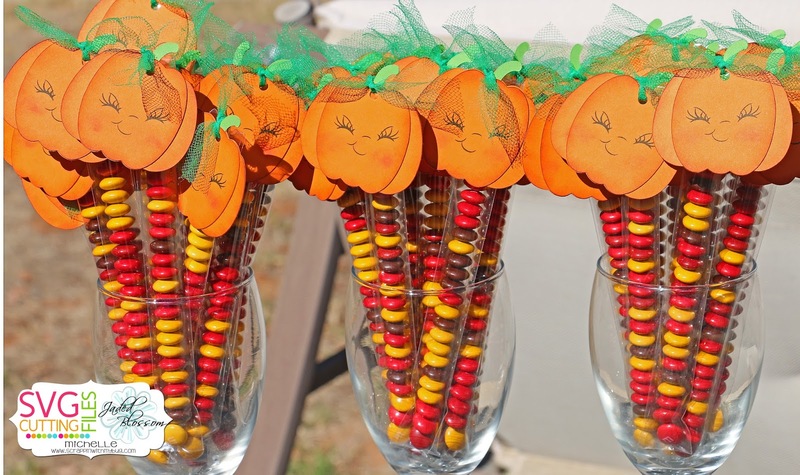 These would be perfect if you have to do a lot, they go together so well and are just adorable!! I cut them at the size they came onto my mat in Silhouette version 3. I added inking and foam tape for added dimension. 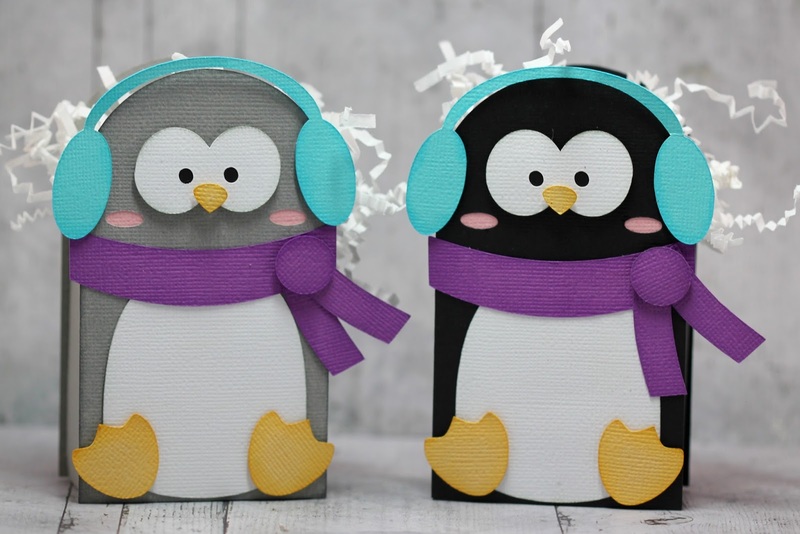 The set comes with 4 but I did two penguins, I couldn't decide which one I liked better...the grey or the black? You can get this awesome cut file in the SVG Cutting Files store on Friday here. Today I have a cute little Christmas card to share with you. 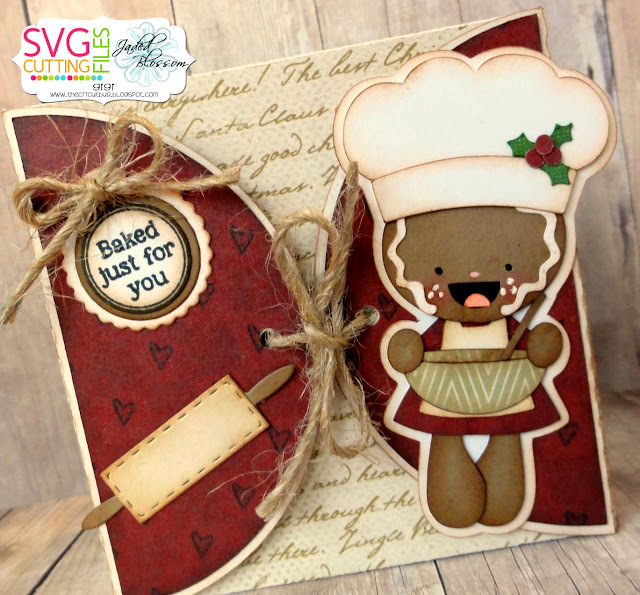 This cute little Kawaii Plum Pudding will be available in the SVG Cutting Files store on Friday! 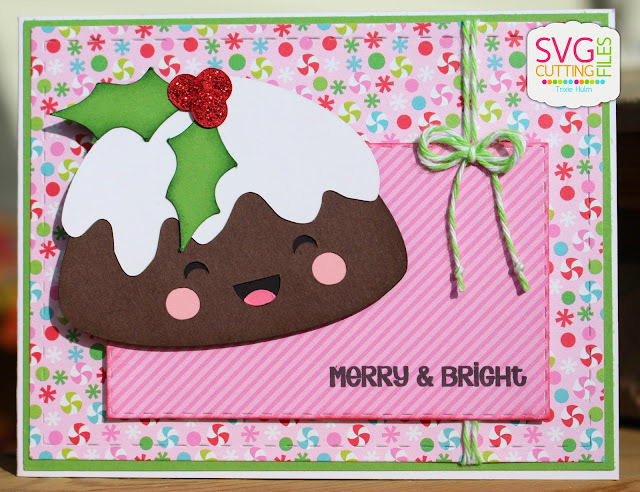 I used Jaded Blossom's Merry and Bright Stamp, Card Mat Dies and Goody Bag Die. Added some twine from The Twinery. Hello! Mel from Doxie Mel Designs and I have a sneak peek of new files that will be available this Friday. I made samples with all three of the overlays. The Card Front Overlays come with a landscape and portrait file. Here is a closer look at each of the overlays. I added a SVG from the store and a sentiment from Jaded Blossom. 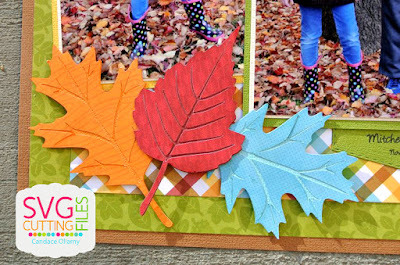 First up is the Leaves Card Front Overlay. The leaf is from the Fall Lollipop Covers. 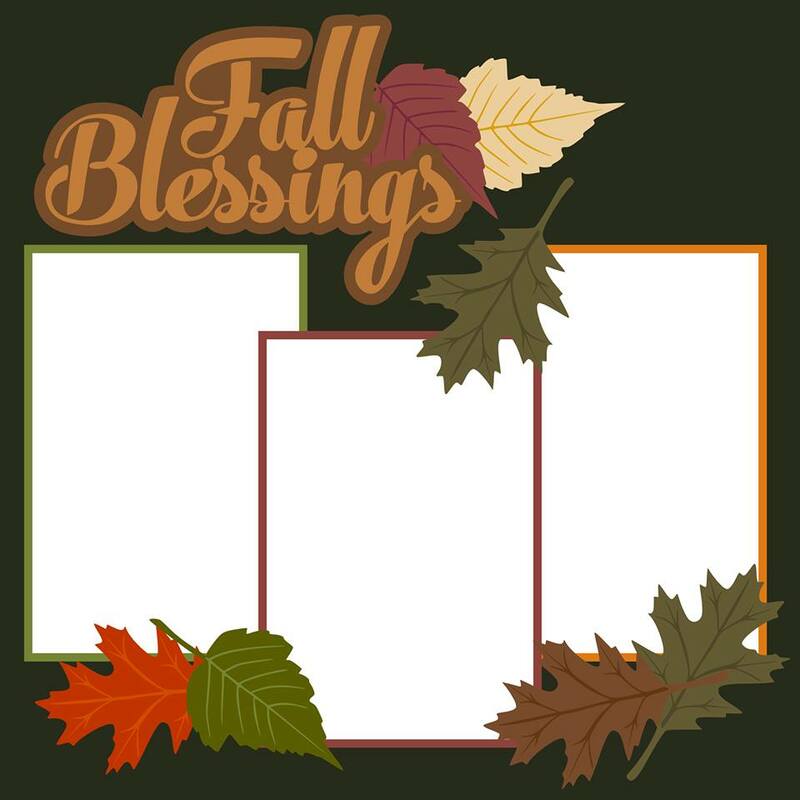 I used distress ink on a white card base to layer colors for the leaves. Next is the Stars Card Front Overlay. Behind the overlay is a sheet of silver paper. This card has the Rocket Girl and a sentiment from Jaded Blossom's Superstar stamp set. 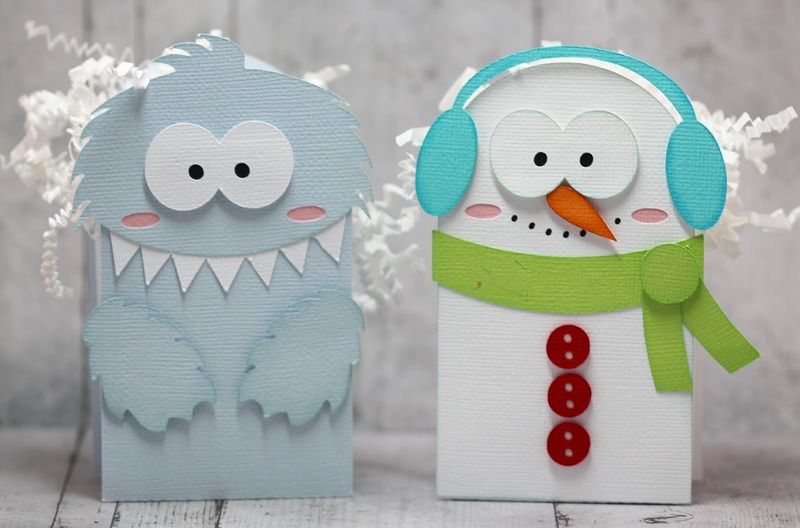 For the last card, I used the cute Snowman from Chibi Kids as Winter Icons and the sentiment is from Jaded Blossom's Elegant Holiday Greetings. You have a keen eye if you noticed I did not put the carrot on the Snowman. I was making my post and noticed that the carrot was not on the snowman. Looks better with the carrot ;) The snow bank is cut with Lawn Fawn's Stitched Hillside Borders.